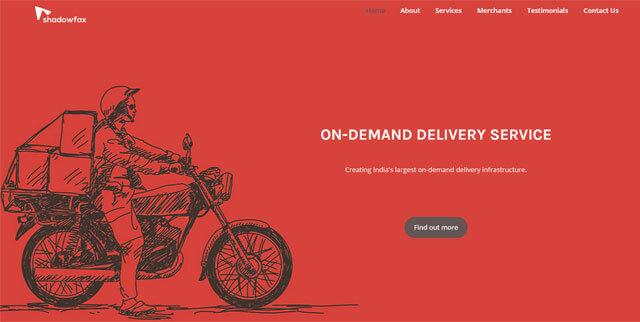 Shadowfax Technologies Pvt Ltd, a Gurgaon-based hyperlocal delivery service startup for restaurants and retailers, has raised around Rs 1.90 crore ($300,000) in angel funding from Snapdeal's co-founders Kunal Bahl and Rohit Bansal, Powai Lake Ventures' Zishaan Hayath and Limeroad co-founder Prashant Malik. The company, which is currently functioning in Delhi-NCR, will use the money to expand operations into 10 more cities by the year-end, as per a press statement. "We believe that improving the existing state of last-mile delivery and hyperlocal logistics would enable all future business growth. At Shadowfax, we are looking to build India's most formidable, credible and fastest merchant delivery service," said Abhishek Bansal, co-founder and CEO, Shadowfax. An IIT Delhi alumnus, Bansal had earlier worked with IIT Connect and Hay Group before launching Shadowfax with his batch mate Vaibhav Khandelwal in May this year. Khandelwal, who is also CTO of the company, said Shadowfax has invested in integrated GPS tracking functions and automated algorithms to improve its delivery service. "Our advanced technology around restaurant preparation time ensures riders pick up meals only after they are ready and use the shortest route to navigate their way to their destination," said Khandelwal, who has worked with System Two Advisors, LP and Adobe in the past. Shadowfax provides restaurants with a technology-driven framework to incorporate features such as automatic rider scheduling, seamless app communication, instant feedback, geo-based tracking, and location-based rider allocation. It has around 35 employees and 350 riders. It claims to get an average of 3,000 orders a day from 120-150 restaurants in the Delhi-NCR region. The company is also planning to take its services beyond food delivery by expanding the logistics infrastructure to multiple categories, the statement said. "Abhishek and Vaibhav are focused on using technology as the core to build a strong merchant delivery network. This is a large problem with high fragmentation and the founders are obsessed with skill, efficiency and speed. This gives me the confidence that Shadowfax will grow into a very valuable company," said Hayath of Powai Lake Ventures. The hyperlocal logistics industry is seeing a lot of action as a bunch of new players has received funding from some of the industry's top VC firms. Bangalore-based Roadrunnr, founded by ex-Flipkart employees, received $11 million in funding from Nexus Ventures, Blume Ventures and Sequoia Capital. Last month, Grofers, a grocery delivery startup, obtained $35 million while Bangalore-based Opinio secured over $1.6 million from Accel Partners. Other players in the logistics field include Delhivery, Townrush and GoJavas. In the delivery technology space, Bangalore-based startup Locus, which makes a delivery automation software, obtained seed funding recently. Jasper Infotech Pvt Ltd Shadowfax Technologies Pvt. Ltd.